View More In Pond De-Icer. 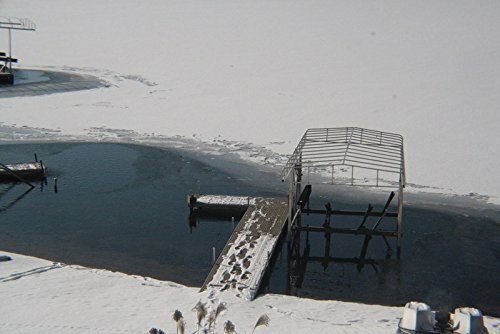 Install a bubble tubing kit to prevent ice formations around docks, boat lifts, piers, etc. Bubble tubing is a lead free, self sinking, fine bubble diffuser tubing used for aeration and deicing. The self sinking design makes it easy to install. Bubble tubing releases thousand of tiny bubbles that slowly rise to the surface creating a gentle aerating motion. Slow bubble means no muddiness from stirred up pond sediments. If you have any questions about this product by EasyPro Pond Products, contact us by completing and submitting the form below. If you are looking for a specif part number, please include it with your message.